Hey guys, what’s up? Long time, no see! Hope you guys are doing okay. 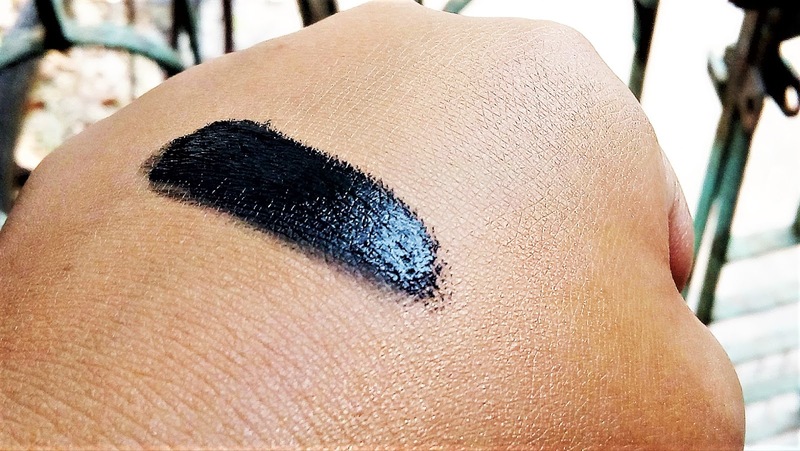 So, with the festivals going on one after another, I thought of sharing with you guys an eyeliner which will be perfect to survive the heat of the festivities. You guessed it right. 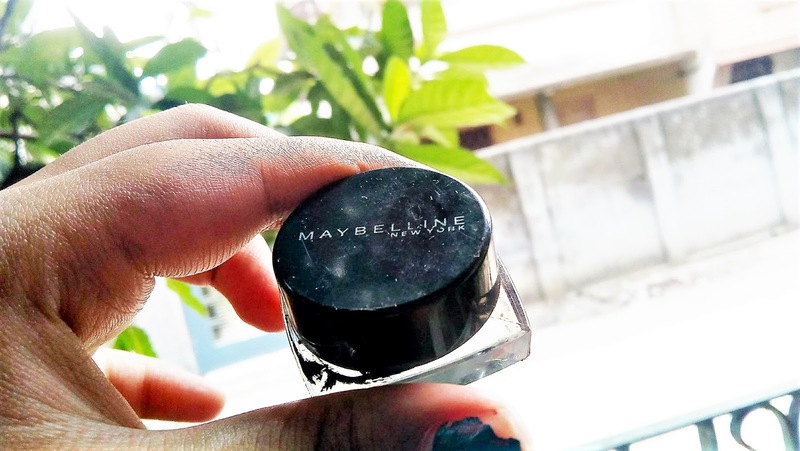 It’s the Maybelline Drama Gel Eyeliner Review which claims to stay on for 36 hours. So, without further ado let’s get into it. What Maybelline claims: Get the precision of a liquid liner with the ease of a gel-based formula. Add some drama to those eyes with the super-concentrated oil-free gel eyeliner! This waterproof eyeliner has a long-lasting gel formula that achieves dramatic eye looks easily. The eyeliner glides on smoothly and precisely, then quickly dries down to a long-wearing, water-resistant finish. Whether your go thick, thin, smudged, or smoky, your look will last, from day to night. · Smudge-free formula sets instantly and glides on easily to deliver intense color that lasts up to 24 hours. · The non-sticky oil free formula glides smoothly and instantly makes your eyes look spectacularly attractive. Packaging: It came in a plastic bag like thing with lots of details along with the pot of gel eyeliner and the brush. Sadly, I lost the brush but it’s equally good. My Experience: I know how hard it is to find the right eyeliner, I mean we have so many tests that it should pass. It should be user-friendly, it should glide on smoothly, and it should not smudge and be waterproof- ahh, there are a lot of expectations. 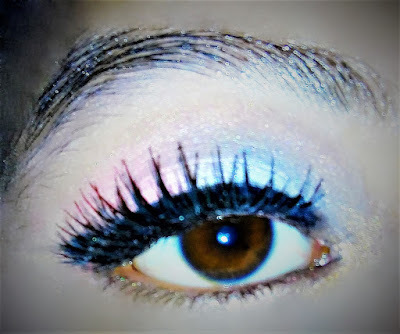 So, with all these expectations I went for the Maybelline Drama Gel Eyeliner . I’m using this for more than a couple of years and I’m quite impressed with it. I got this when I was new to blogging and new to making wings and dramatic eyes. It’s quite easy to use. It glides on smoothly and it’s jet black in color. It provides opaque pigmentation within one swipe. The eyeliner dries within a couple of seconds and it stays on for hours without smudging not to forget that it’s water-proof. I think the pricing is also reasonable and the fact that it comes in a plastic pot makes it travel friendly. You can totally use the brush that comes with it. But, I lost that brush so I use it with another angled brush. I totally love the consistency and formula of this. The only thing is that it’s a really patchy at times but I could totally work it fine. I love this and I would continue using this. 3. The brush is nice. 6. Dries off quite nicely. 7. Stays on for long (obviously did not test it for 36 hours). 1. Packaging could have been a little better. 2. A little patchy at times. Honestly, I love this product and would recommend everyone to try it out and specially if you are a beginner and you are struggling to get a perfect liner. You could master the art of winged eyeliner practicing with the Maybelline Drama Gel Eyeliner.